This isn’t the first time I’ve seen this month’s postcard: I saw it develop from a sketch to the finished glory you’ll see below. I knew I’d have to share it here as well as Kirsten Carlson‘s tips and advice. 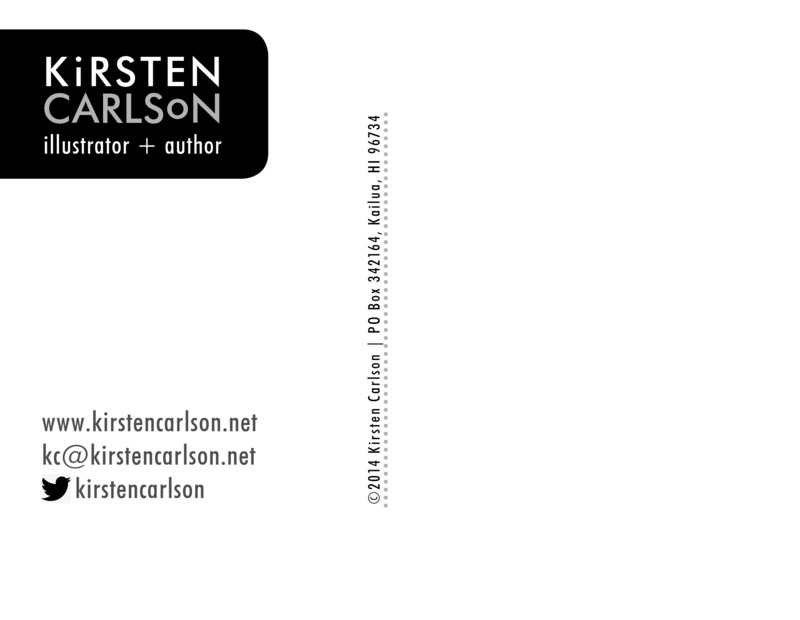 Sub It Club is happy to welcome Kirsten to the Postcard Post! Kirsten Carlson has one creative foot in science and the other in art. She has been an illustrator and designer for 20 years. Her illustrations were first discovered by a publisher at an SCBWI New York conference, which led to her first project as a children’s book illustrator, THE GIRAFFE WHO WAS AFRAID OF HEIGHTS, published in 2005. Her latest publication as both illustrator and writer is WHERE THE LAND AND SEA MEET, a nonfiction activity book. 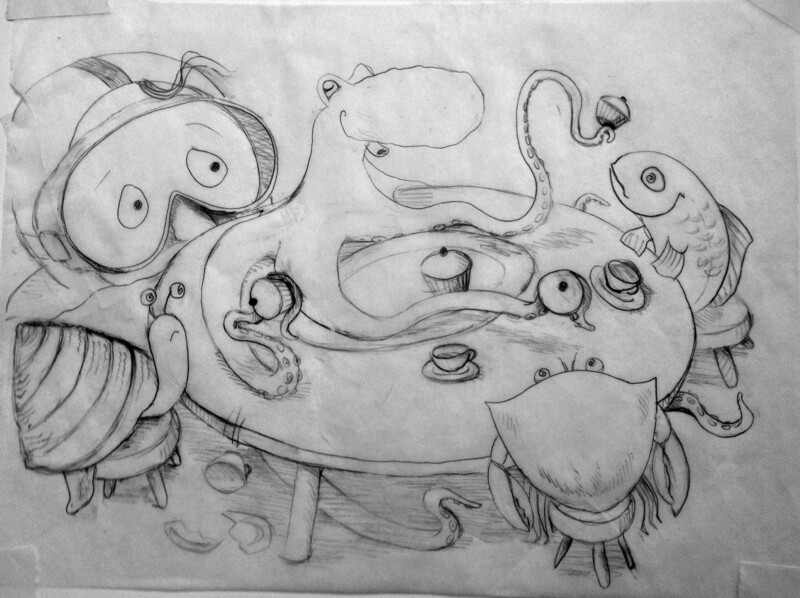 She is currently developing several picture book stories that are animal and nature inspired. *Hmm. That rings a bell! **You were right: it is. It depends on the illustration. I designed this postcard with my name and title on the front, so that there is no need to flip the card over. In the past I’ve wanted the impact of an illustration alone, and other times, I’ve used a tag line, because the promo piece was geared for a specific book or project. Postcard back. Love the graphics! *Don’t be coy! Tell us the story. *Postcards are so versatile. Good luck with this mailing! I definitely believe in doing a targeted mailing. I’ve met some amazing agents, publishers, art directors and editors over the years but I don’t want to waste their time if my work doesn’t match their publishing style. For this postcard, I’m sending it to a list of less than 50 publishing professionals. I use an Excel spreadsheet, I’m extremely comfortable with that interface to organize everything. I have a mailing list (primarily email) of about 500 people (not all publishing professionals). It does take time to find physical mailing addresses so I asked for help from my more-active-postcard-mailout-illustrator cohorts. * That has been tremendously helpful and time-saving. *Intriguing. So you’re in cahoots with these cohorts. I’m a graphic designer so I totally geek out on designing a simple 4 x 6 area, sometimes it takes hours. My suggestion is to use 1 or 2 fonts, keep it simple, make the information easy to find and easy to read. I use Adobe InDesign, Illustrator and Photoshop. I always get the template for the particular card I’m creating so I know how much room the printer needs for bleed, and how close I can put type to the edge. I print most often with Vistaprint.com, but this postcard has been challenging for them (see samples)*. I also use Zazzle.com and I tried out Moo.com for business cards. They are more expensive but I’ve been impressed with both of them. I’ve also worked with local printers, and enjoy meeting face-to-face but there are so many online options these days, I haven’t worked with a local printer in several years. *as promised: samples! I’m glad Kirsten took the time to get the printing just right. Thanks so much for sharing your artwork and tips, Kirsten. Find out more about Kirsten Carlson at the links below. 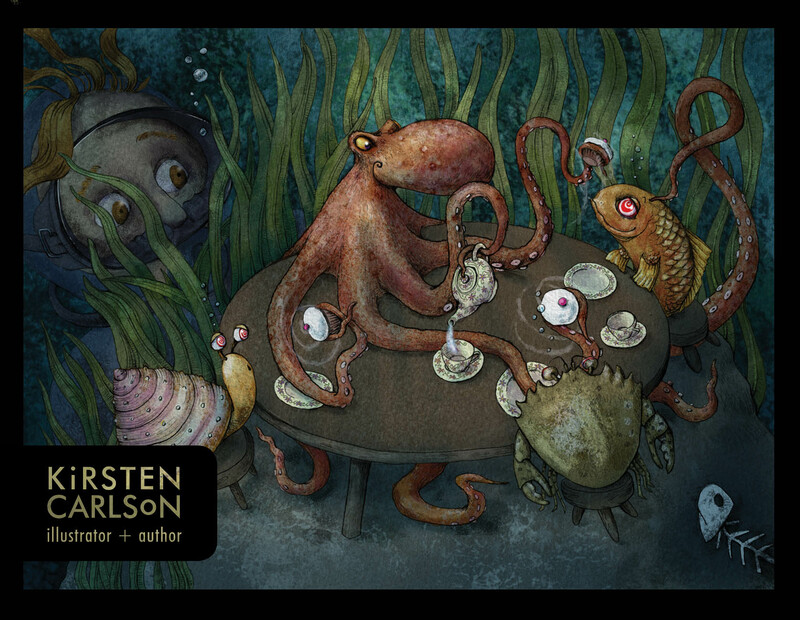 Beautiful illustrations, Kirsten. Surely anyone would love them. Can’t wait to hear about your successes!